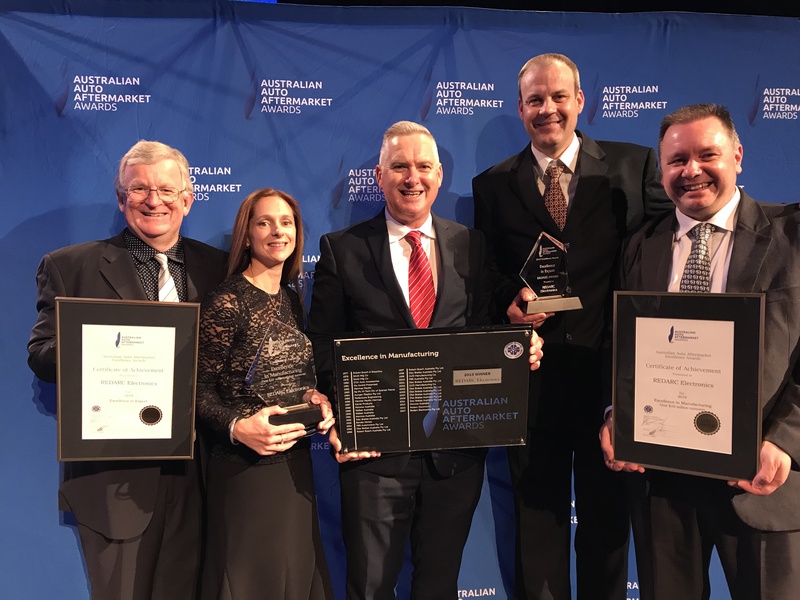 REDARC was honoured to receive three awards including the Excellence in Manufacturing – Gold Award (Over $10 million annual turnover) at the biannual Australian Auto Aftermarket Awards. The Awards recognise outstanding achievers in the Australian Automotive Aftermarket Industry. This is an incredible achievement for REDARC as it is the 3rd consecutive time we have won the Excellence in Manufacturing award having also been named winners at the 2015 and 2017 events. Mr Anthony Kittel REDARC’s Managing Director, said he was delighted to win multiple awards and attributed them to REDARC’s continual innovation and hard-working staff. The Awards were held at the Crown Casino in Melbourne in front of an audience of over 850 people who also formed a large part of the AAA Expo itself. The Expo is the nation’s most comprehensive exhibition of vehicle repair and servicing equipment, replacement parts, tools and accessories. It is a trade only show run by the industry for the industry.